The iconic Gaucho bag has now been redefined as a trendy fashion accessory. For many people this gaucho accessory serves multiple purposes but there is no doubt that this handbag is, first and foremost, a distinctive and elegant fashion statement. What was once used to carry essentials for South American cowboys has now become one of the must have items for any wardrobe. Who could have imagined that a basic saddle bag would shake up the fashion industry hundreds of years later. High end designers at Coach and Gucci have taken the Uruguay gaucho bag and infused it with new life for a modern market. These bags are manufactured from supple leather and decorated with metal slides and buckles. The diagonal slant of the front strap pays homage to the original Uruguayan gauchos who used these bags, not for fashion, but for everyday travels. The first Uruguay gaucho bag was very rudimentary in design, yet it provided the transient South American cowboy with a carry all that would last for many years. While many of these South American bags were quite plain in appearance there were others that were studded with silver coins, or other metal-work, in much the same tradition as the rastras, or belts that these cowboys would also wear. 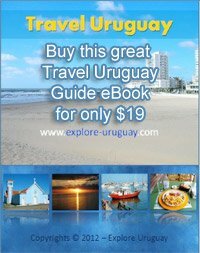 In the South American countries of Uruguay, Peru, Argentina and Brazil the early gauchos roamed freely. These men became well known for their manner of dress as well as their unique culture and horsemanship. You could easily tell a gaucho by the clothing he wore which might include the loose fitting pants, colorful shirt, flat brimmed hat and boots, or espadrilles. A brightly colored poncho was often draped over the shoulders or tucked into a The Gauchos bag. These men would often belt their pants by using a knitted piece of material known as a tirador. Today most people would call this a ‘sash’. Some of the gauchos preferred to use a cloth chiripa instead of the tirador. Look at some of the pictures that depict 18th, 19th or early 20th century gauchos and you will see many of these South American horsemen wearing chiripas which have a strong resemblance to the diapers worn by babies. The chiripa was functional and fashionable, but for the Uruguay gaucho these wardrobe items certainly did not serve the purpose of a diaper. 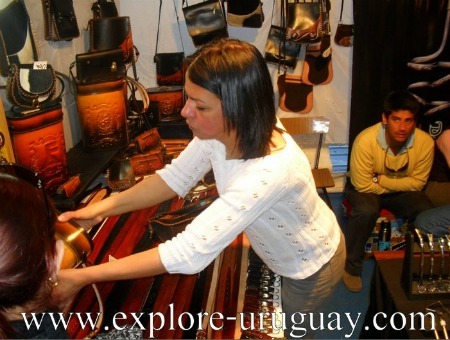 The Uruguay gaucho generally made this bag of leather and many were constructed by the same men who owned them. These bags were roomy and they were designed so that they could be tied to the back of the horse or strapped to the saddle. Today a gaucho bag is a highly prized wardrobe accessory that is valued for its practical function as much as its sleek lines and meticulous construction. You can use this bag for long distance travel, work or even use it as a diaper bag. In addition to enjoying the multi-purpose functions and eye-catching appearance of these bags the design will always remind you of the spirit and history of the South American gauchos.